There must have been something special going on in Gothenburg! 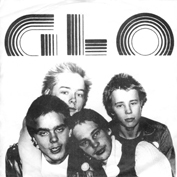 Here´s another great single from the Swedish westcoast and a band called Glo. This is their first release and they also made a 2nd 7″ and a longplayer in 1980.